In the past, those mushy gooey gag-inducing impressions were part of the most feared appointments in all of orthodontic treatment. Except for unusual exceptions, those days are gone forever. Meet iTero, our 3-D intraoral scanner. Now along with our iCAT 3-D Cone Beam CT radiographs, our office is truly setting the bar for modern orthodontic treatment. 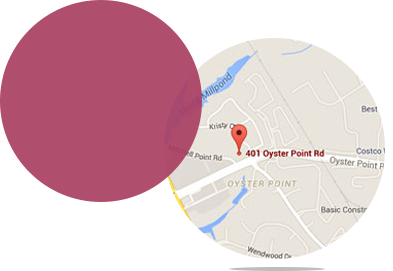 By using only the most modern state-of-the-art technology, Peninsula Orthodontics strives to provide our patients the most comfortable and accurate orthodontic experience. So, what is an intraoral scanner? It is basically a camera that produces 6,000 images per second of your teeth and gums! What all those images provide is the most accurate fit for Invisalign appliances and post-treatment retainers. For most of our traditional orthodontic patients, their intraoral scan will be taken at the appointment before their appliance removal. When they return the following month, their retainers will have already been manufactured using virtual CAD/CAM technology for the utmost in accuracy and comfortable fit. In addition, this provides the added benefit of having your “virtual 3-D models” digitally stored, so in the event that your retainers are accidentally lost, in many cases a replacement set can be made with just a phone call.